11-12 July. Brits Flying Club 60th birthday celebrations. For bookings please contact Johan Booyens at info@britsflyingclub.co.za or 071 444 0928. Africa Aerospace and Defence (AAD2014), the premier exhibition of air, sea and land technologies on the African continent opens from 17 September 2014. 99% of the indoor space and 89% of the outdoor space have been sold, which gives an indication of the high esteem in which the exhibition is held in the industry. AAD2014 will once again bring together various industries from all over the world so as to showcase the latest technological innovations. This year's show will have many more exhibitors than in the past, with two new first time country exhibitors - Argentina and Uganda. AAD2014 organisers met formally to introduce official contractors to the participating exhibitors to present the processes that will be in place before, during and after the exhibition. With thirty confirmed participating countries and fourteen national pavilions, AAD2014 will host an excellent mix of first-timers and repeat exhibitors, some with increased exhibition space. �This event will provide excellent marketing opportunities for exhibitors wishing to promote their products and services amongst African countries,� says Mr. Sandile Nqayi, Marketing & PR Manager at AAD. AAD will, for the first time, be launching a MobiEvents app in mid-July that will keep AAD attendees updated with the full exhibition experience. This is a one-stop mobile event guide for AAD2014 exhibition and airshow, featuring a show programme, venue map, ticket sales, admission rules of the airshow as well as live news updates. The MobiEvents app will be available for free download from the Apple App Store and Android marketplace. A Youth Development Programme (YDP) will be staged in a dedicated hangar, together with the Department of Defence, where the youth will enjoy interactive programmes, such as plastic model building, virtual aviation, simulator, target shooting, first-aid and the intricacies of crime scene investigation. The public will be treated to a mass parachute drop, a mini war re-enactment which will see Special Forces Pathfinders parachuted in to the secure area followed by the insertion of troops, vehicles and the air-dropping of supplies. There will be aircraft participating in aerobatic displays and the very popular truck and armoured vehicles in the very popular displays at the mobility demonstration track. The local favourites like the Gripen, Hawk and Silver Falcons will be expected to thrill the crowds during the airshow days. Africa Aerospace and Defence (AAD) is one of the world�s premier aerospace and defence events and holds a prominent position within the aviation and defence calendar. The exhibition takes place on a biennial basis in September. The first three days of the exhibition are traditionally trade days, followed by two Air Show days that are open to the public. Proudly hosted in the City of Tshwane, the 8th instalment of AAD will take place at AFB Waterkloof, Centurion, City of Tshwane, South Africa from 17 to 21 September 2014, and will once again bring together worldwide industry players to showcase the latest technologies. AAD is the premier exhibition of air, sea and land technologies on the African continent. It is jointly hosted and presented by Aerospace Maritime and Defence Industries Association of South Africa (AMD), the Commercial Aviation Association of Southern Africa (CAASA), the Aerospace and the Armament Corporation of South Africa (Armscor). Substantial support is also received from National Government and the cooperation of the Department of Defence as well as the Department of Trade and Industry. The enhancements feed in lessons from the operations in Libya, significantly enhancing the air-surface capabilities and completely revise the Human Machine interface for multirole operations. These enhancements allow the pilot to switch seamlessly between air-to-air and air-to-ground modes. Smith added: �This package also paves the way for the Eurofighter to deploy deep strike stand-off weapons that can target high value highly protected surface targets. We are already deep into the integration and flight test of the Storm Shadow stand-off weapon. Storm Shadow has a proven combat record of penetrating the most highly defended target areas. The stealth is in the weapon; minimising the risk to pilot and aircraft. The Meteor BVRAAM has a much higher average speed than legacy missiles and when combined with Eurofighter's kinetics this delivers a 'no escape zone' greater than three times that of comparable weaponry. The P1Eb enhancement package for the Eurofighter also brings a suite of capability upgrades for the aircraft's Defensive Aids Sub System (DASS) and the latest interoperability updates for the fighter's Multifunction and Distribution Systems (MIDS) which together help ensure that the Eurofighter Typhoon is the most effective flying partner for allied aircraft. Eurofighter Typhoon is the most advanced new generation multi-role/swing-role combat aircraft currently available on the world market. Seven nations (Germany, the United Kingdom, Italy, Spain, Austria, Saudi Arabia and Oman) have already ordered the Eurofighter Typhoon. 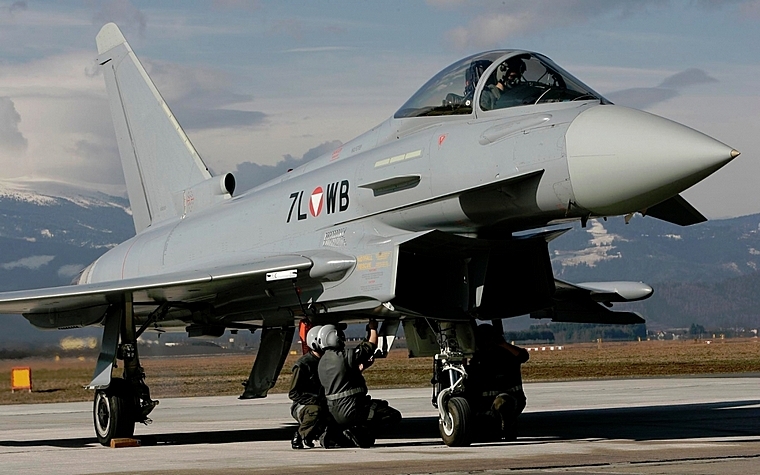 Eurofighter Typhoon is currently the largest military procurement programme in Europe. Its high technology strengthens the position of European aerospace industry in the international market. The programme secures more than 100,000 jobs in 400 companies. Eurofighter Jagdflugzeug GmbH manages the programme on behalf of the Eurofighter Partner Companies Alenia Aermacchi, BAE Systems and Airbus Defence and Space in Germany and Spain, which are the most important aviation and aerospace companies in Europe with a turnover of about 123.2 billion euro (2011). Since delivery of the first Eurofighter Typhoon to the Royal Air Force in the United Kingdom end of 2003, a total of 406 aircraft have been delivered to six nations. 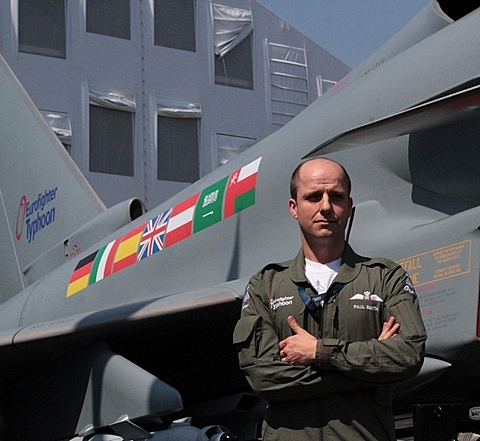 The 100th Eurofighter was delivered to the Royal Air Force in September 2006. The 200th aircraft was handed over in November 2009 to the German Air Force. The 300th aircraft was delivered to the Spanish Air Force in November 2011 and the German Air Force received the 400th Eurofighter in December 2013. In the past 10 years with the German Air Force and its other customers, the Eurofighter fleet has demonstrated its high operational effectiveness in international missions and training exercises and has accumulated more than 236,000 flying hours. Embraer's Super Tucano's airframe was designed, both in its single- and twin-seater versions, with the latest generation technology and computer-aided tools that provide the aircraft with a potential service life of 18,000 hours for typical training missions, or 12,000 flying hours in operational environments, depending on mission loads and utilization. The airframe is designed to withstand +7G/-3.5G loads. The aircraft's structure is corrosion-protected and the side-hinged canopy has a windshield capable of withstanding a bird strike at 270 kts. The aircraft's cockpit environment has been enlarged to more comfortably accommodate male and female pilots and instrumentation has been designed to glass cockpit standards. The Super Tucano incorporates features such as an environmental control system designed to maximize crew comfort and an On-Board Oxygen Generation System (OBOGS). Should the need arise, the Super Tucano is equipped with Martin-Baker MK-10lCX Ejection Seats incorporating a three-mode ejection sequential device. A 1,600 SHP Pratt & Whitney PT6A-68/3 turboprop engine that incorporates FADEC (Full Authority Digital Engine Control) and EICAS (Engine Indication and Crew Alerting System) powers the aircraft. 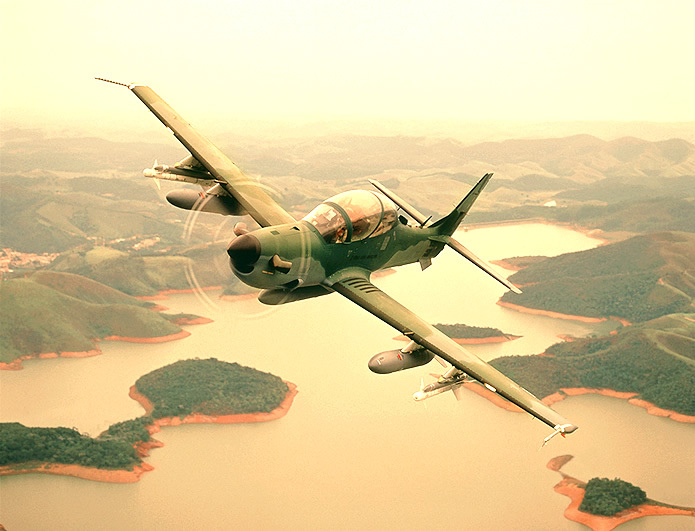 Although it is a high-performance turboprop, the Direct Operational Cost of the Super Tucano is kept within the same range as its predecessor. The aircraft owes this advantage to improved logistics coupled with enhanced systems reliability and an Integrated Data Acquisition and Recorder (IDAR) system that helps speed maintenance work, in addition to easy component accessibility and revised inspection tasks. 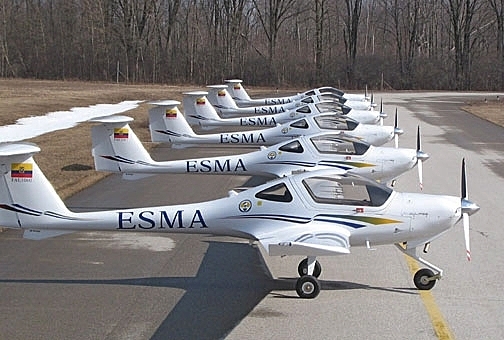 The acceptance of the first six of a fleet of twelve DA20-C1 aircraft for the Ecuador Air Force (Fuerza Aerea Ecuatoriana or FAE) was completed at the Diamond Aircraft facility in London, Ontario. The contract includes maintenance and operations training as well as a comprehensive technical support package. The DA20-C1 is a FAR Part 23 certified, two-seat, all composite aircraft, available with either conventional flight instrumentation or glass cockpit options. With a high useful load, low acquisition and operating costs, excellent safety record and utility and spin certification, the DA20 is the ideal introductory aircraft for military and civilian flight training. A NASA WB-57F will make its first visit to EAA AirVenture Oshkosh this year. EAA this week confirmed that NASA will bring a Martin/General Dynamics WB-57F high-altitude aircraft to Oshkosh this year. Based at Ellington Field near NASA's Johnson Space Centre in Houston, Texas, the WB-57F operates in NASA's High Altitude Research Program. The aircraft provides unique, high-altitude (up to 70,000 feet MSL) airborne platforms to United States government agencies and other customers for scientific research, advanced technology development, and testing around the world. This will be the first appearance by a WB-57F at AirVenture. The WB-57F aircraft are descendants of the B-57B - a license-built version of the English Electric Canberra - that were operated by the Air Force and Air National Guard from the early 1950s-1970s, and RB-57D aircraft operated by the Air Force from the mid-1950s to the mid-1960s. The current variant is derived from the Martin/General Dynamics RB-57 Canberra, a highly specialized strategic reconnaissance aircraft developed by General Dynamics in the 1960s from the Martin B-57 Canberra tactical bomber. The Air Force bought 21 WB-57F aircraft, which were built by General Dynamics from existing B-57Bs and RB-57Ds. The airplanes' ability to reach altitudes over 65,000 feet, carry payloads in excess of 4,000 lbs, and its triple spar wings made it a very capable high-altitude platform. Missions included everything from weather reconnaissance for Apollo space launches to sampling radiation in nuclear weapon test plumes. In the late 1960s and early 1970s the Air Force decided to ground the WB-57F and depend exclusively on the U-2 for high-altitude support. The mission of monitoring nuclear test bans was better done by the WB-57F than the U-2, however. That mission was important enough that three aircraft were given to NASA to keep that capability alive, which was designated N925N, N926NA, and N928NA. When N925N was retired and put on display at Pima Air & Space Museum in Tucson, Arizona, it that left NASA with two WB-57Fs. Another airframe joined the fleet in 2011 after been taken out of the 309th Aerospace Maintenance and Regeneration Group, (AMARG), better known as the �Bone Yard,� at Davis-Monthan Air Force Base, Arizona. The aircraft, designated N927NA, began as a B-57B, and then was one of 21 aircraft rebuilt as an RB-57F in 1964. As an RB-57F the aircraft had its wingspan increased to 122 feet and the original Wright J65 turbojets were replaced by Pratt & Whitney TF-33 turbofans, doubling both the wingspan and thrust. N927 had been retired in June 1972 and remained on �celebrity row� at the Bone Yard until May 2011 when it was dismantled and trucked to Sierra Nevada Corporation at Centennial Airport, Colorado. After being refurbished to flying condition it was flown to Ellington AFB in August 2013. The aircraft had been in storage for over 40 years and made its first flight in 41 years in the summer of 2013, setting a record for the longest an aircraft had sat in the Bone Yard before returning to flying status. Since 2000, the unique performance capabilities of the WB-57F aircraft and increasing costs associated with the ER-2 program have resulted in NASA allowing multiple customers to use the WB-57Fs for atmospheric and satellite sensor research. The DOD programs have gotten much broader, and N928 (and sometimes N926) have multiple customers asking us to help them develop satellite sensors. Currently both aircraft are enjoying multiple customers, and all are enjoying the ability to operate on either aircraft. During this time, both aircraft were upgraded with global positioning satellite navigation systems, F-15 main landing gear and brakes, and the gross weight capability of both aircraft was certified from 63,000 pounds to 72,000 pounds. Current ongoing upgrades to the aircraft include installation of the ACES II ejection seat system and installation of an improved, modern autopilot. Exact arrival is to be determined, but plans are for the WB-57F to be on display for the entire week. 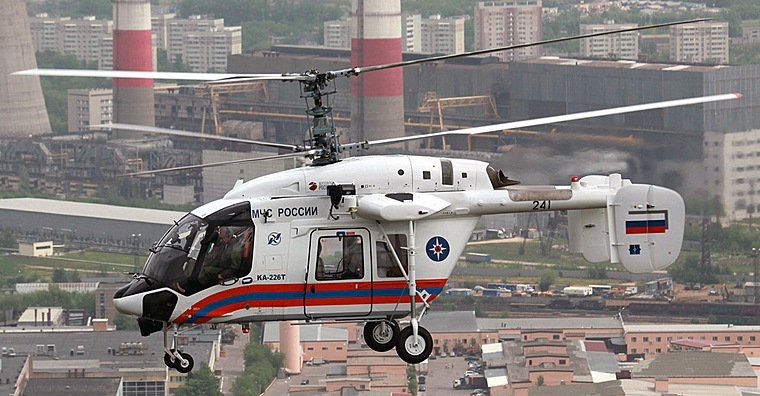 Russian Helicopters (a subsidiary of Oboronprom, part of State Corporation Rostec) is taking part in the Harbin International Economic and Trade Fair 2014 (Harbin Trade Fair, now known as China-Russia Expo), which will run from 30 June to 4 July in Harbin, China. The holding will showcase series and new models of helicopters at the event. "China is Russia's key strategic partner in all aviation technology supply issues," Russian Helicopters CEO Alexander Mikheev said. "We look forward to showcasing current models of Russian-made helicopter, which are already operated in China, and introducing our colleagues to some of our newest developments. In particular - the unrivalled Mi-38 passenger transport helicopter, and medium multirole Mi-171A2, which can be operated by both commercial and state helicopter operators in China alike." The new multirole Mi-38 boasts a spacious passenger cabin, low noise and vibration indicators, and numerous innovative technical solutions. The comfort and flight safety this helicopter offers are among the best of any helicopter in its class. In its cargo modification, the Mi-38 can carry up to 6 tonnes internally, and up to 7 on an external sling. It is also distinguished by its high cruising speed of 295 km/hour and flight range of up to 1,200 km. The year 2015 should see certification completed and the launch of series production on the Mi-38. Series produced Mi-38 helicopters will be equipped with TV7-117V engines produced by Klimov. The Mi-8/17 is undoubtedly the most popular Russian-made models in China. Currently the final batch of Mi-171E helicopters is in the process of being delivered under a contract for the purchase of 52 of these aircraft, which was concluded with Rosoboronexport in 2012. The Mi-171A2 will also be on show at Harbin. It is the latest model to appear in this legendary series, and is fully expected to add further successes to the Mi-8/17's already considerable reputation. The Ka-32A11BC helicopter, certified in China and renowned for its unbeatable search-and-rescue and fire-fighting capabilities, will also be on show at the event. This model has proved popular in China and is regularly supplied to Chinese operators. For example, in April, the Ka-32A11BC was delivered to the Shanghai Public Security Directorate. In the light segment, Russian Helicopters will showcase the Ka-226T. This light, multirole helicopter boasts outstanding versatility, allowing it to be operated in dense urban environments and mountainous regions alike. The Ka-226T can be operated in extreme temperatures and in icy conditions. It is designed for year-round use and ground maintenance, and like other Russian-made helicopters, it can be stored on the open airfield. The Ka-226T is one of the best helicopters in its class. During flight testing in mountainous regions, the Ka-226T reached heights of 7,500 metres and carried cargo weighing 200 kg at altitudes of 5,200 metres. The helicopter is equipped to operate in low temperatures (below minus 35 degrees Celsius) and at great heights. These qualities make the Ka-226T a very attractive helicopter to Chinese operators. The Harbin Trade Fair helps develop and strengthen trade and economic relations between the Russian Federation and China, Russia's most important external trading partner. In 2013, the volume of bilateral trade neared 90 billion USD, and by 2020 is expected to reach 200 billion USD. Russian-made helicopters have built a good reputation in China, supplies to China started with the first series model of the Mi-1, produced in the mid-20th century. Mi-4 helicopters are assembled under licence in China, where they are known as the Harbin Z-5, at Harbin Aircraft Manufacturing Corporation, part of China's AVIC aircraft construction corporation. In addition to these models, Mi-6 heavy helicopters (now replaced by the Mi-26T) are also operated widely in China. Russian Helicopters' business programme for the event includes meetings and talks with numerous regional partners. In addition, representatives of the holding will take part in the Chinese summit on civilian helicopters. Russian Helicopters will give a joint presentation with Russian Union of Industrialists and Entrepreneurs, on developing business contacts with partners in China. At this point, AC105 has successfully completed its first flight. 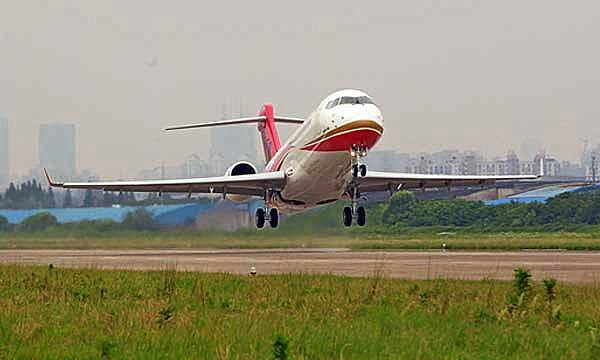 AC105 is the first aircraft to be delivered to the first customer Chengdu Airlines, and this flight is the first flight test mission independently completed by Flight Test Centre of COMAC (FTCC) since its establishment two years ago. It is reported that AC105 rolled out on December 30th, 2013, and was officially transferred to FTCC on June 10th, 2014. This aircraft has successively completed multiple tests, such as Auxiliary Power Unit (APU) de-preserving and start-up test, environmental control test, tightness test, on board functional test of electrical power system, etc., and is installed with seat interiors and coherent systems in accordance with the delivery standard of the first aircraft.